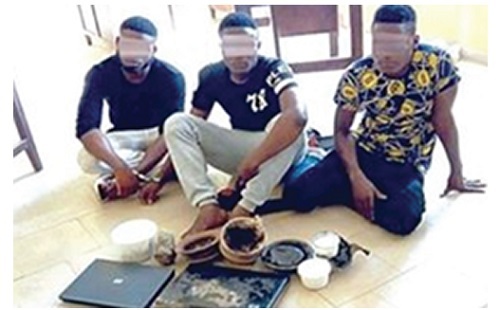 Yahoo boys has prompted Delta State, Governor Ifeanyi Okowa to direct security agencies in the state and country to commence a massive crackdown on internet Fraudsters. 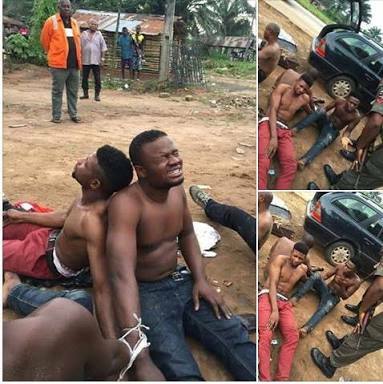 This may not be unconnected with the brutal murder of Elozino Ogege, a 300 level female student of Mass Communication, Delta State University (DELSU), Abraka, by suspected ritualists masquerading as “Yahoo Boys”. The governor gave the order in a condolence message to the family of Elozino. Governor Okowa, who was greatly distraught by the sad development, ordered a serious crackdown on all “Yahoo boys”, ritualists and all those involved in unexplainable and sudden wealth in the state. In a statement by Charles Aniagwu, his Chief Press Secretary, Okowa expressed his heartfelt condolences to the family, the Isoko nation and the Delta State University, Abraka community. The governor noted with serious concern the increasing and disturbing activities of suspected ritual killers and criminally-minded individuals, whose obtrusive and flamboyant escapades are becoming more conspicuous. “On behalf of the government and people of Delta State, it is with a heavy heart that I write to express our profound commiserations to the family of Elozino Ogege, the Isoko nation, her friends, both within and outside the university community. The governor appreciated the solidarity exhibited by Deltans and Nigerians in condemning the bizarre act and urged security agencies in the state and country to commence a massive crackdown on these criminal elements veneering as “Yahoo Boys”. “As a government whose primary responsibility is the protection of lives and property, as well as the welfare of her citizens, I urge Deltans and Nigerians to partner with the government and report to security agencies the activities of these gangs with a view to assisting the society to get rid of such dangerous groups. Never again as a people shall we condone the activities of these known criminals as we all seem to agree that 'enough is enough'."